Because his father is a musician also, he had the opportunity to perform jazzstandards at an early age on stage. 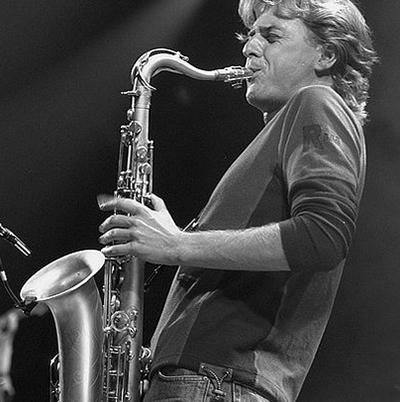 After a short study of classic saxophone, he dedicated his life to jazzmusic and started attending workshops and seminars, in the meanwhile following courses at the Jazzstudio in Antwerp. Jeroen soon started exploring other forms of music (freejazz, rock, blues, soul, gospel,...), elements clearly present on Gratitude Trio recordings. He found his own sound on the instrument, intimate, spiritual and instinctive, a sound in accordance with his soul. He is constantly perfecting the jazzlanguage, seeking the experiment in a soulful confrontation with the challenges of a changing world. He likes to let his far out improvisations being carried on a city jungle beat, modern dance rhythms, without losing his acoustic power, breath.